Thank you again – this industry never ceases to amaze me with the ability to come together to make a difference. This time it was during the SCAA Event. If you were in downtown Seattle on that Saturday night, you may have seen some strange things. In fact several famous coffee personalities were actually kidnapped! Congratulations to go Cablevey Conveyors, the winning team and recipient of a Free Full Page Ad in CoffeeTalk’s 2017 State of the Industry. 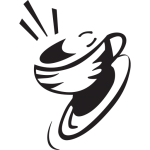 In fact, the event was so successful and fun, we are thrilled to announce that Cablevey Conveyors and Daterra will again co-sponsor with CoffeeTalk Media the 2016 Charity Scavenger Hunt in Atlanta. If you would like to be a part of next year’s hunt, just email [email protected] and we will send you updates on being on a team, donating, or becoming a “target” to be kidnapped!